Aaaaaannndddd they’re off! 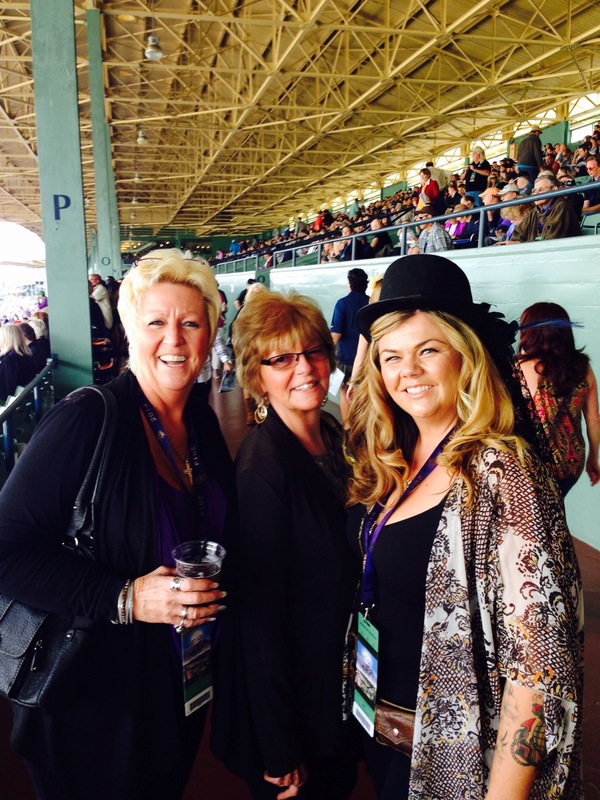 What a great time we had on our third annual Breeder’s Cup day at the races! I was taken to the horse races a few times a year as a kid. It was always exciting and especially so, when one of my parents would give me the racing form and say “pick which ever one you like, baby”. Oh, that was magic! Getting help reading the harder names and finally coming to my conclusion… Walking with my dad to the beer booth and being very patient because I knew the betting window was next! Holding hands to the window and letting the bet maker KNOW without telling, that it was MY bet. This horse belonged to me for the next ten minutes or so. Back up to the stands, perched atop the bench as the race began… Waiting for the gates. The distant clank and rumble as they released the noble steeds. “Aaaaannnndddd they’re off!” There is nothing like that feeling. Thundering around the track to the inevitable photo finish. Such excitement, such palpable electricity in the air. I was reminded this weekend, of a story from those days. I was small, still only five or six and my horse was winning. This was no ordinary horse, it was a long shot and a win would have paid. My parents and their friends likely did not have bets on that horse but when he took the lead they went nuts! I mean grabbing at me and yelling “he’s winning, Jenny! Your horse is winning! You’re winning!! !” I can still feel the intensity. 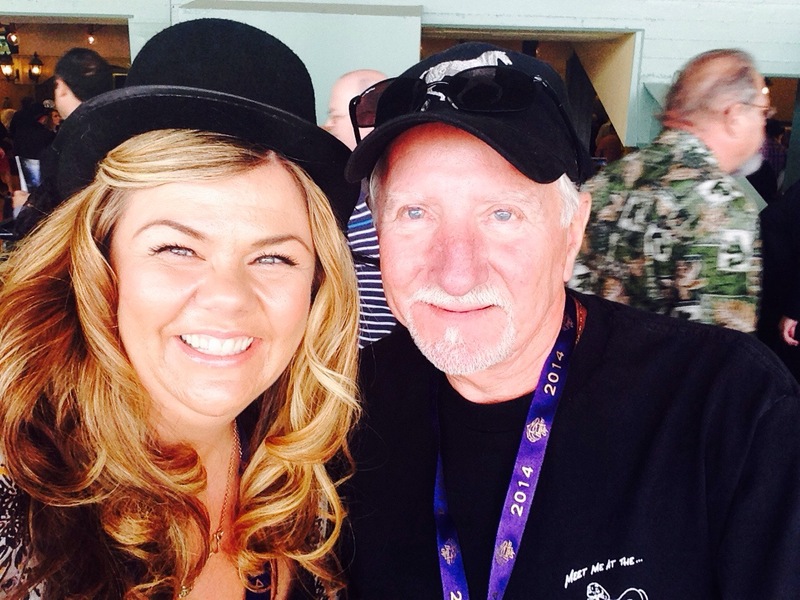 He was coming around the last bend and I was sure to take the race…. Just then, this horse threw his jockey and bailed. 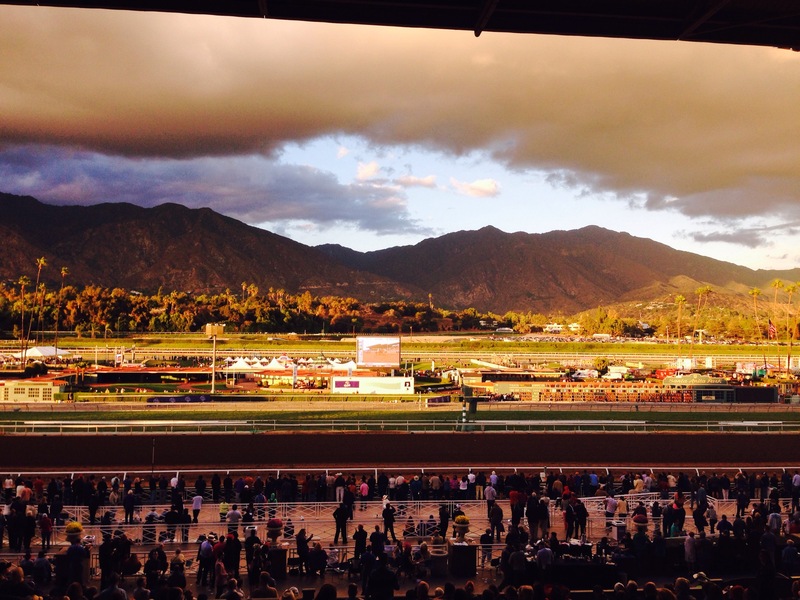 That horse took the fence of the track like it was nothing and was gone… The energy shifted immediately and in my first life lesson about gambling, I did what any decent race attendee would… I cried. Though, it didn’t sully my love of the races, it does serve as a reminder that it ain’t over til it’s over. I felt like I was right there with you! You are such a talented writer Jenny. So glad you got to spend the day with you parents and Penny. By the way, the photo of the track and hillside in the background is fabulous! !